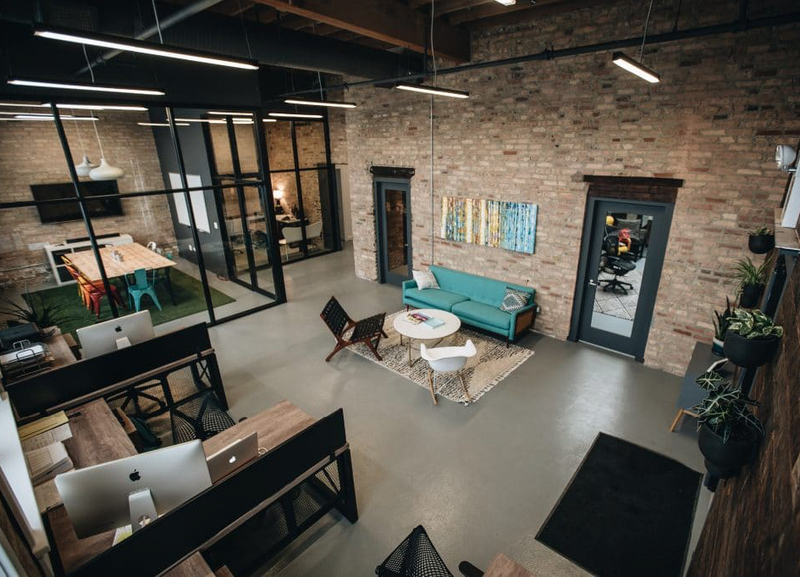 One Tree Forest opened a multi-functional new studio space at 2219 W. Grand Ave in the heart of West Town. In addition to housing One Tree Forest’s home base, the facility also boasts a rentable 2,000 square foot, first floor studio space. The front area is an ideal environment for brainstorming, collaborating and private client meetings. The studio is drenched in natural sunlight that shines through two large, industrial skylights, making it the perfect location for nearly all forms of video and photography. Chad and Abby Cooper, the business and life partners behind One Tree, are really excited about launching this next phase of the company. “We’re looking forward to sharing our home away from home with other artists in the Chicago community,” says Abby. “As and artist I am personally excited to have the opportunity to meet other like minded creative individuals as we open our doors,” adds Chad. Chad and Abby say they plan on hosting an open house sometime this spring, so the broader community can come in and check out the space. To rent or learn more about the studio in the meantime, visit the One Tree website.